Dietary experts are now arguing that current guidelines for the maximum amount of sugar allowed in a healthy diet are too high. The research, published in the journal Mayo Clinic Proceedings, argues there should be huge reductions in current guidelines which allow up to 25% of daily calories in added sugars (DiNicolantonio et al., 2015). “At current levels, added-sugar consumption, and added-fructose consumption in particular, are fueling a worsening epidemic of type 2 diabetes. Fructose is particularly bad for you, studies suggest, because it has a negative effect on both insulin resistance and the body’s overall metabolism. Other sugars without fructose do not have nearly the same detrimental effect. 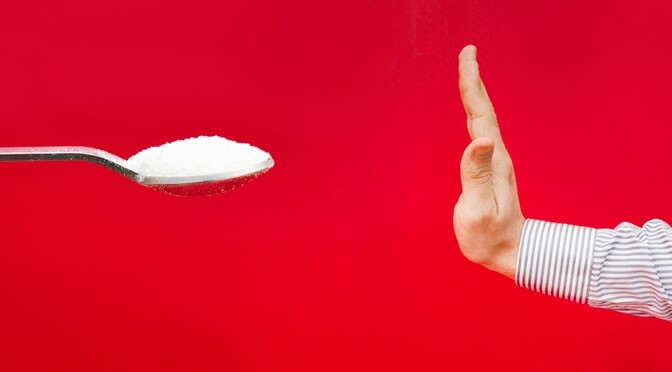 While American guidelines for added sugars allow up to 25%, the World Health Organisation currently recommends levels of no more than 10%, with proposals on the table to reduce this to 5%. This 5% level translates into about six teaspoons (24 grams) of sugar per day for women and up to nine teaspoons (36 grams) for men. Fructose is found naturally in whole foods like vegetables and fruits, but these are positively good for human health. Ideally, added sugars in the diet should be replaced with those naturally occurring in fruits and vegetables. “There is no biological need for any added sugars in the diet, particularly those containing fructose (eg, sucrose and HFCS).